Kenya hotel siege over, militants and at least 21 victims dead - SABC News - Breaking news, special reports, world, business, sport coverage of all South African current events. Africa's news leader. 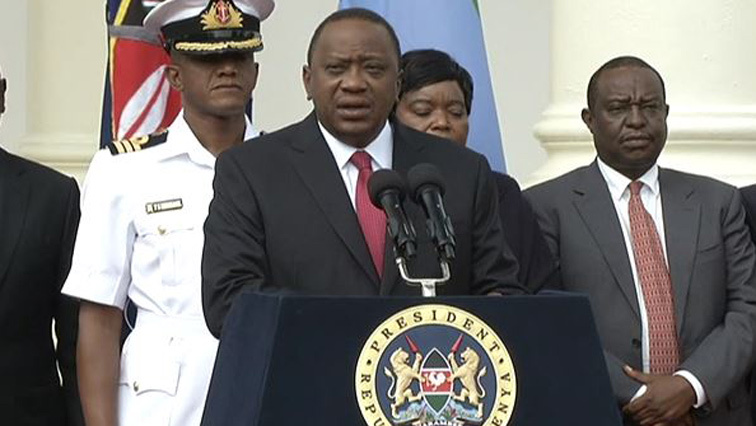 President Uhuru Kenyatta announced the end of a 20-hour overnight siege. Fifty people believed to have been in the complex remained unaccounted for on Wednesday afternoon, the Kenya Red Cross said, raising the possibility of a much higher final death toll. The bloody bodies of five attackers were broadcast across social media as President Uhuru Kenyatta announced the end of a 20-hour overnight siege that echoed a 2013 assault that killed 67 people in the Westgate shopping centre in the same district. “The security operation … is over and all the terrorists eliminated,” Kenyatta said in a televised national address, looking drained and grave. Kenyatta did not specify how many assailants there were, but CCTV clips showed at least five dressed in black, some sporting green grenade belts. One group entered a nearby office building, where they left a grenade in the lobby, a private security professional present during the attack told Reuters. Then they shot into elevators and offices as they searched for victims up to the sixth floor. The other group raked the restaurant with gunfire. Eventually the militants holed up on or near the top floor of the hotel, taking pot shots at those fleeing, he said. Sixteen Kenyans – including a policeman – an American 9/11survivor, and a British development worker were among the casualties, police chief Joseph Boinnet said. Three more victims were of African origin but their nationality was unknown, headed. Some victims had been dining in the Secret Garden restaurant and lay slumped at blood-stained tables, video seen by Reuters showed. In its two-page statement claiming responsibility, al Shabaab said: “This operation … (was) a response to the witless remarks of U.S. president, Donald Trump, and his declaration.” Air strikes against the group have intensified under Trump, but Tuesday’s attack showed that the insurgents retain the ability to strike outside Somalia’s borders. The dusitD2 complex is home to offices of international companies including Colgate Palmolive, Reckitt Benckiser, Pernod Ricard, Dow Chemical ad SAP, as well as the dusitD2 hotel, part of Thai group Dusit Thani. Hiram Macharia, marketing executive at LG Electronics, said he grabbed a fire extinguisher and headed downstairs after the first blast. “Then we saw two of the attackers firing at the elevators and we turned back,” he told Reuters outside the hotel. “They were firing twice at each of the elevator doors and the two staircase doors on each floor as they walked up the building. One of them fired at our office doors, entered slightly and then moved on.” Macharia and some colleagues hid under desks, but one person ran to the roof and was shot dead there, he added. This entry was posted on 17 Jan 2019,06:22AM at 6:22 AM and is filed under Africa, Homepage Latest Stories Slider. You can follow any responses to this entry through the RSS 2.0 feed. Both comments and pings are currently closed.